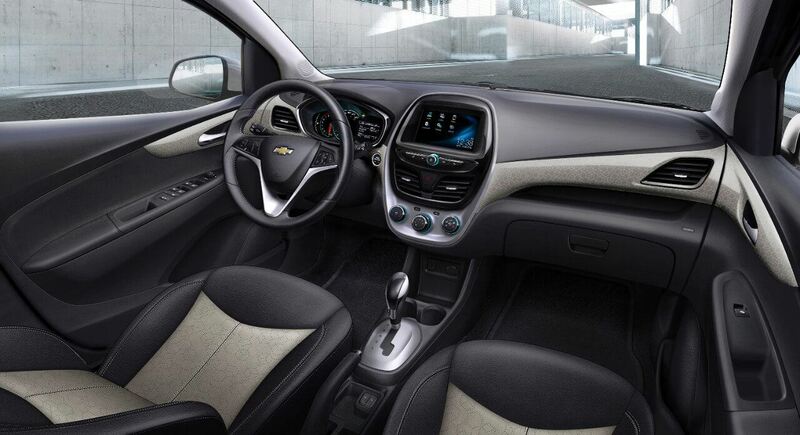 Chevrolet uncloaked the new, more stylish 2016 Spark at the New York International Auto Show earlier this month. The new Spark has been completely redesigned and now offers customers more refinement as well as a a range of new options traditionally found on more expensive, upmarket vehicles. The 2016 Spark features a sleeker, more refined appearance thanks to a slightly longer wheelbase (area between the front and rear wheels) and a roof that is 1.6-inches lower. The lower roof helps generate less drag, which means the Spark is even more fuel efficient. Plus, tall drivers can sleep well knowing that clever interior changes have kept the Spark’s headroom on par with the outgoing model. The changes aren’t just skin deep. Underneath Spark’s new sheetmetal lies a new, stronger chassis, which keep noise out of the cabin and helps to up the Sparks’ agility and fun. Under the hood lies a new 1.4L four-cylinder engine which kicks out 98hp, a 16 percent improvement over the outgoing model. and the new, ninth-generation Chevrolet Malibu. Upgraded materials and greater attention to detail– like higher-quality fabrics and higher-density seat foam–enhance comfort and durability. The Spark’s all-new sheet-metal makes the car look lower and sleeker, while also boosting fuel economy.